The stretch of coast between Perth and Rockingham contains most of the heavy industry and port facilities of the area. Some people regard industry as ugly, something to be hidden away from view. 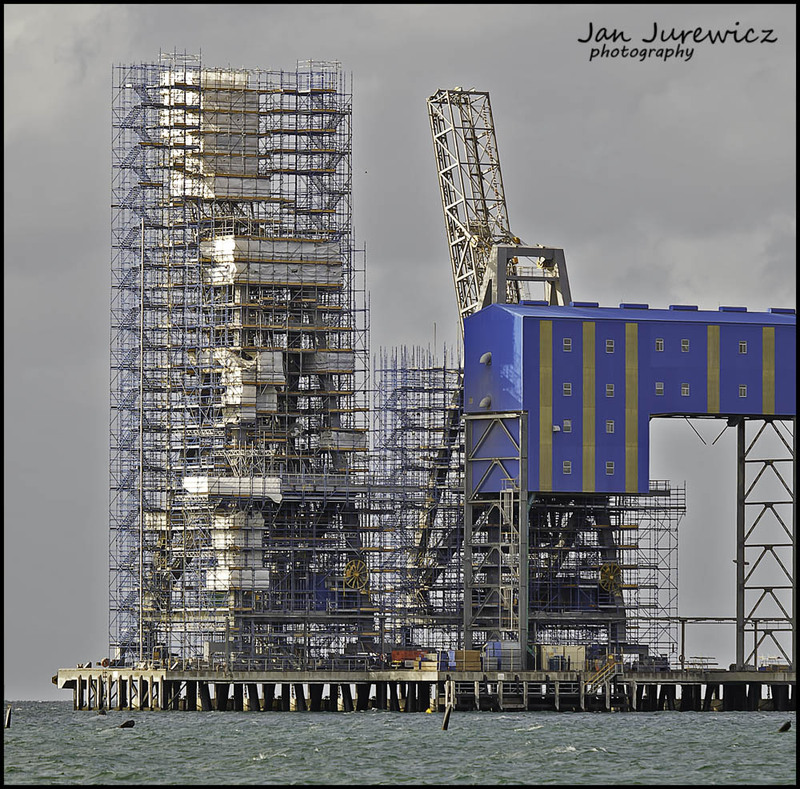 Not all industrial facilities are very pretty but some of them have interesting and complex shapes. Unless you are very fortunate and have access to the inside of these sites, you are forced to shoot from public land. Long lenses come in handy here and often a tripod also. 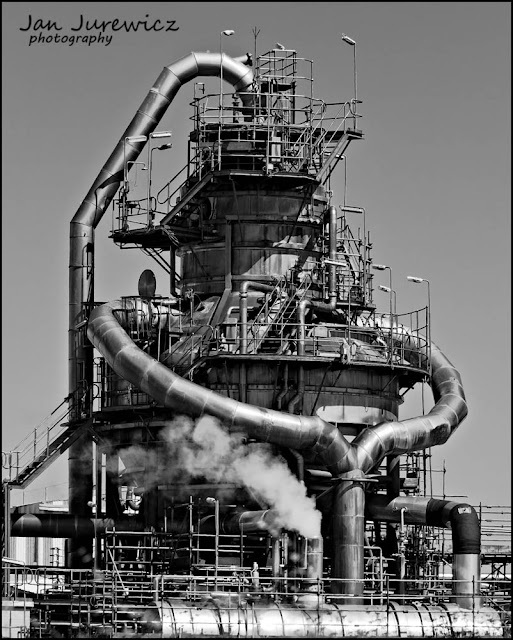 This first shot is of a piece of plant at the nickel refinery on the outskirts of Rockingham. There a few interesting scenes here, but this is the most striking. This shot needed an effective focal length of 200mm, it's a big piece of equipment and the road runs quite close by. The second shot is of the grain loading facility also on the outskirts of Rockingham. In this case the focal length was closer to 300mm, the installation is enormous and it was shot from the beach. This is all just straight photography with little special to look out for but as usual good light always helps. It's always worth looking at your subject from every available angle, there is usually a sweet spot that hopefully isn't in the ocean!